What will Tallitha do next? How will she escape from the sinister castle at Hellstone Tors and the grip of the Morrow Swarm? Will she ever see Winderling Spires again? Grand Witches, Hellstone Shroves, evil relatives, strange creatures and supernatural powers abound in the second book in Tallitha Mouldson’s exciting adventures in the strange land of Breedoor. Find out what happens in the next instalment of The Morrow Secrets and meet some exciting new characters as Tallitha and her trusted friends’ battle to free her from the Swarm and the spell of Hellstone Tors. You can read my review of book #1 here. 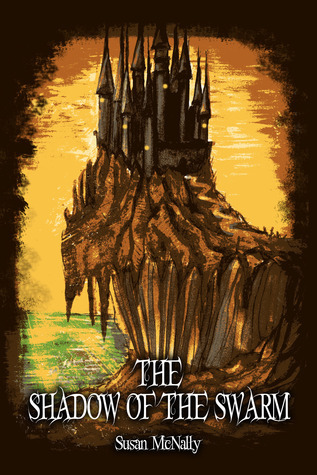 The Morrow Secrets and it's sequel, The Shadow of the Swarm, were sent to me by Sweet Cherry Publishing in exchange for an honest review. Thank you guys! The novel is much bigger than the first, but a lot more happens so it can be excused. I also think the writing got a lot better, not colorful for the sake of being colorful like before but more natural. The art and cover were, as always, gorgeous. Recommended for a strong young reader, or for a spooky bedtime story to read to kids a bit at a time. As you can see, from now on I'll be posting on weekends only. School is so intense this year! It's good when the second book in a series improves on the first. So many of them fall flat. Great review. Feature and Follow Friday - Featured Blogger!